So I've got my eyebrows microbladed and I want to share with you the entire experience. Spoiler alert, as you can see from the above image, the eyebrow looks natural yet full and I'm very pleased. Eyebrows have always been an important part of my makeup routine. I take pride in my brows (they frame the face after all!) and it is one step that I will usually never go without when I step out of the house. I've seen so many videos about eyebrow microblading and how much easier life became so of course, I was intrigued. 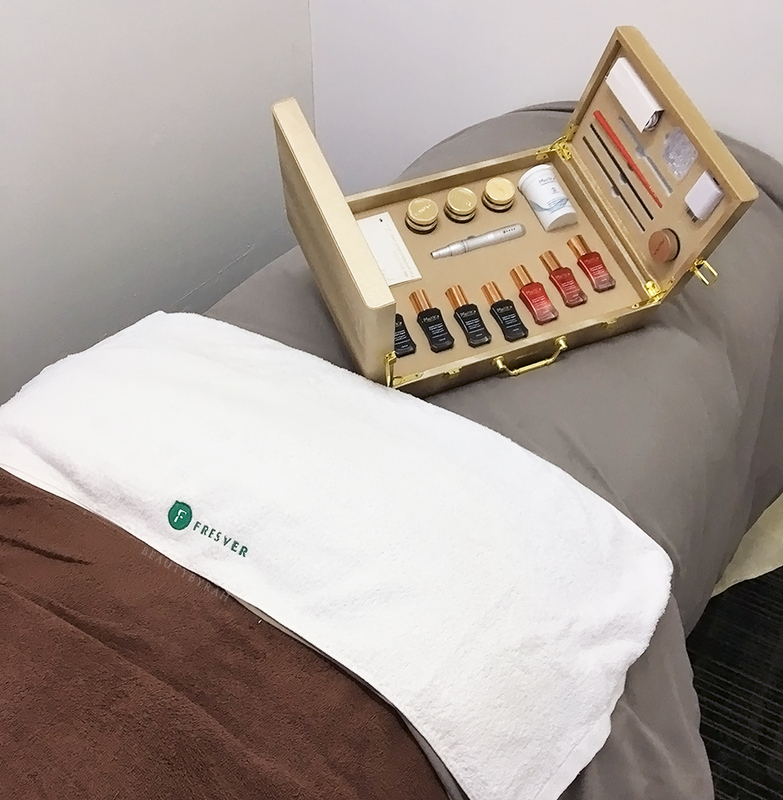 Then the opportunity came along when Fresver Beauty introduced eyebrow embroidery as part of their specialised services and after much consideration, I decided to give it a shot. I am pretty lucky to have quite a bit of brow hairs but I do have some sparse areas, especially around the arch of my brows. This does result in slight difficulty when it comes to filling them in as the shape of the arch is mostly determined via the deposition of my brow product. To begin, having a good idea of the shape you would like is key. As brows do frame the face, the shape, length and intensity of brow will affect the overall look that you're going for. For me personally, I prefer a brow that has a slight rounded arch and one that isn't too thick in width. I also did not want something too thin as thicker brows are said to give the illusion of more youthful features. 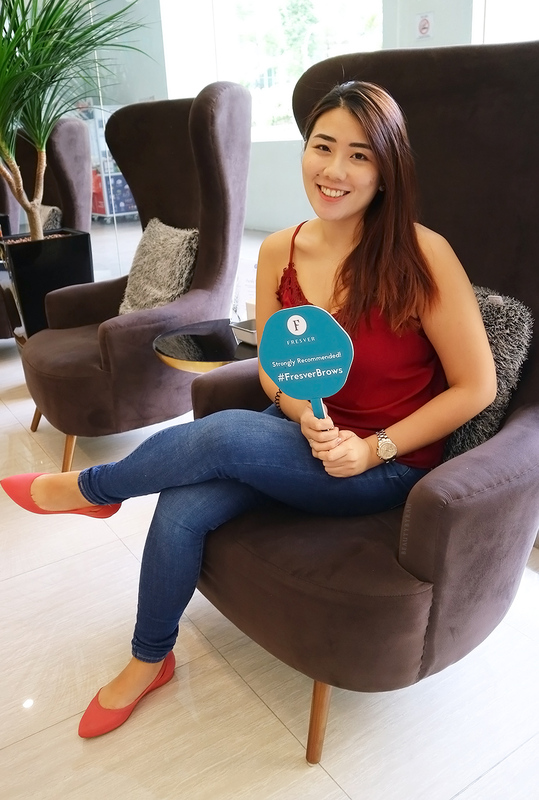 When I first arrived, I had a consultation with Fresver's eyebrow specialist, Nana, who has over 20 years of experience doing eyebrows. Nana was very accommodating and she provided me with many useful suggestions and advice. 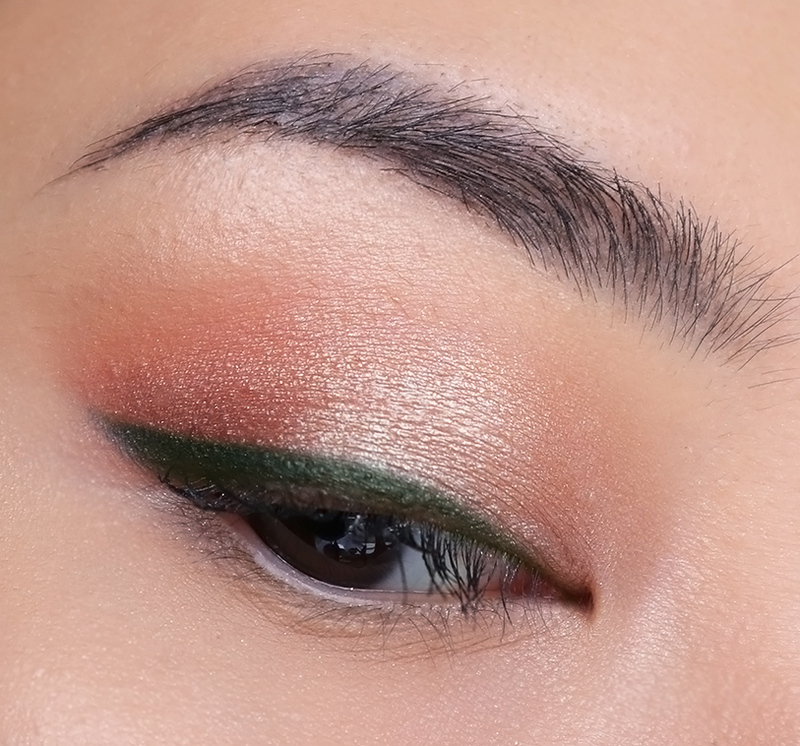 We discussed the shape that I wanted as well as the colours to be used (I did not want something that was too dark as I am not a huge fan of a bold brow). In addition to micro balding (the small strokes that give the illusion of hairs on the skin and the blade on the right), we were also going to add in some little dots of colour to the brow, which is known as the misty brow embroidery (powdering technique and the needle on the left) to help provide more definition and fill in some sparse gaps. After shaping the brow with the pencil and upon giving the thumbs up, we moved on to the application of the numbing cream. This took about 15 minutes and we were good to begin the procedure. I have to admit that I was nervous. I have not done many invasive procedures before so the thought of the microblades did cause my little timid self to feel a tad uneasy. However, I am glad to report that the whole procedure was not too uncomfortable. 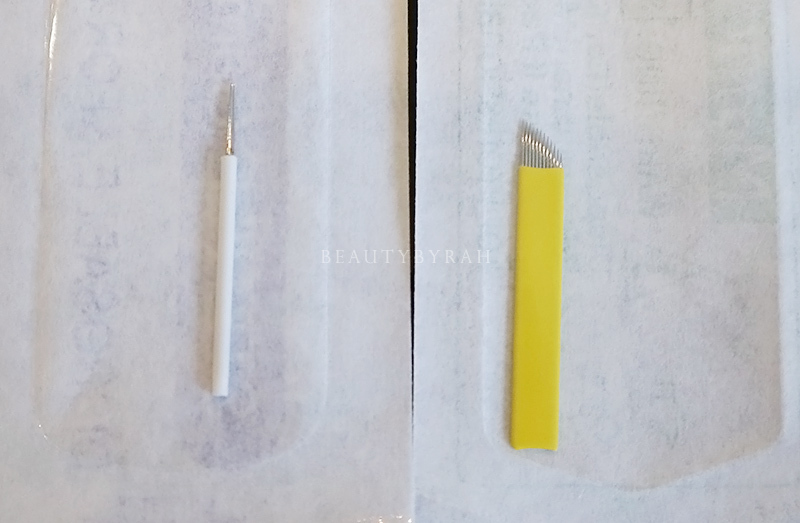 A combination of both microblading and the powdering technique was incorporated in the procedure, and I did find that the scariest part of it all was actually the sound that the microblade makes upon contact with the skin. However, I got used to it after a while and the sound did not really bother me after. The powdering technique was completely fine and I did not feel nor hear much when I was getting it done. My numbing cream did wear off pretty quickly and I started to feel some discomfort, so we had to reapply but other than that, it's nothing compared to fractional laser or micro needling which I had also undergone. To give me a natural blend, Nana used two different ink shades on me. At Fresver, they utilise a premium ink product from the french brand, Monica. These pigments are extracted and developed from plant botanics and are natural, organic and safe. These pigments from Monica are also said to have a high concentration of pigments which offer superior colour retention and thus, the vibrancy and colour will be more long lasting (which is great as nobody wants all that effort to go to waste in a short period of time!). My entire procedure took about 2 hours, including the consultation. It was definitely not as scary as I had imagined it to be. Right after the procedure, the brows would look darker than it would be when it is healed, so do be prepared for that. It also got a tad darker the day after, as the skin was healing and the scabs were starting to form. After care is crucial! I watched quite a few videos online and many people mentioned that they applied vaseline or aquaphor to the brows to help it stay moist, but Fresver provided me with the Monica Nutrient Concentrate to apply instead. This serum helps the skin to retain the colour better and to help the skin heal. The image above shows my brows on day 3 after the procedure where the scabs are starting to form. I have just applied the nutrient concentrate on it, thus the sheen. A challenging part of the after care was washing my face and hair; I never realised how troublesome it is to do those steps without getting water in my brows! My eyebrows started to peel around day 3, and it did get slightly itchy. The image above was taken on day 5 after the procedure. You can really see the scabs! It took a lot of will power and determination to not scratch it and please don't if you do decide to try microblading out, as pulling off the scab prematurely will result in uneven colour and patches! My friend did it and we both agree that it does not look the best. My eyebrows took about 7 days to fully heal (which is slightly longer than what I expected). After about 6 weeks, I went for my touch up. My colour intensity did fade a little from the first time, and I did want my arch on my left eyebrow to be slightly more pronounced. The touch up session took around 1.5 hours and it did hurt a tad more, and I’m not sure why! Regardless, after reapplication of the numbing cream, it was done and I have to say after the healing process, I am very pleased with how my eyebrows are looking now. It is well definite yet natural looking (I can see the little strokes that resemble hair if I look closely), and the shade is definitely right up my alley. 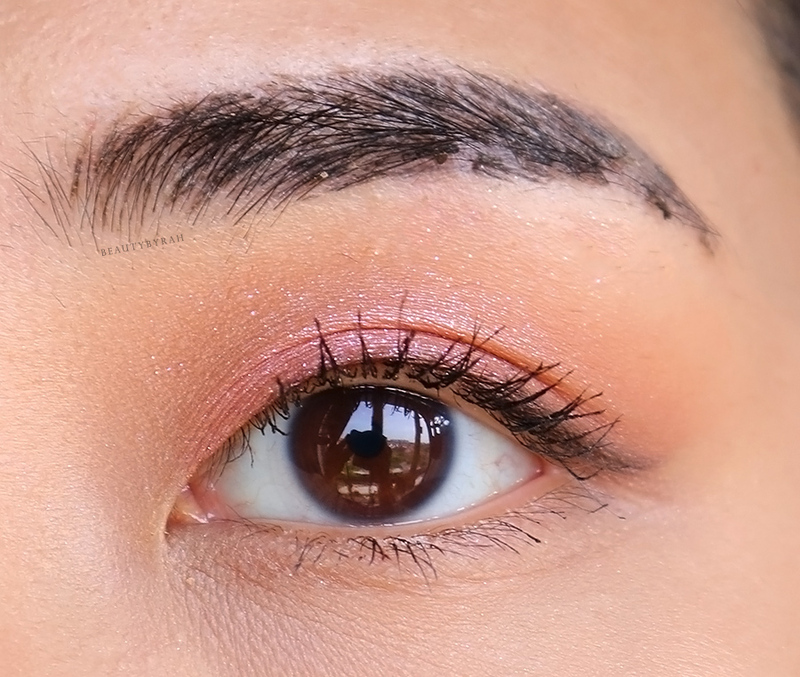 The image below shows how the brows look like with minimal makeup (only concealer, mascara and a lip tint!). Overall, I am very pleased with the results. 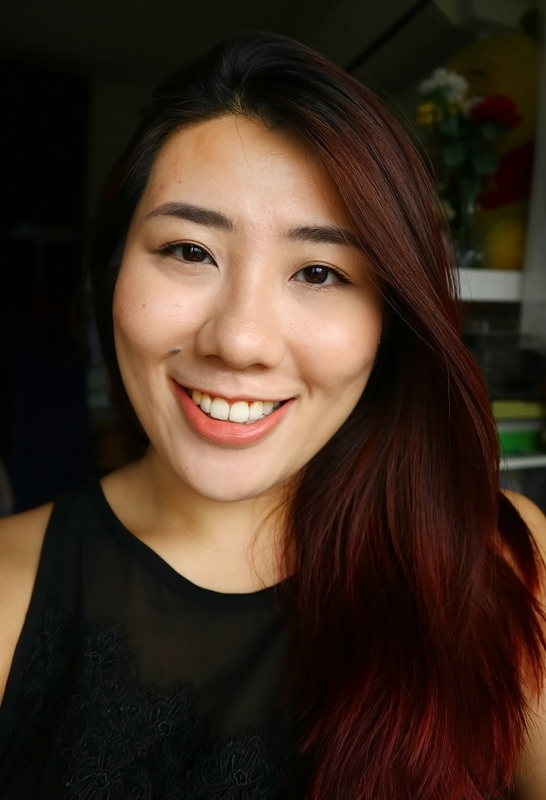 I found that my brows work well with both minimal makeup and with a full face as shown in the image below. The shade is definitely a good match for me as it is not too dark, nor too warm in tone. It's fascinating to see those mini strokes in the brow when you move the hairs! My eyebrows are definitely shaped nicely and much fuller and I am currently not using any products in them when I leave. I have to admit, this procedure saved me so much time in the mornings! 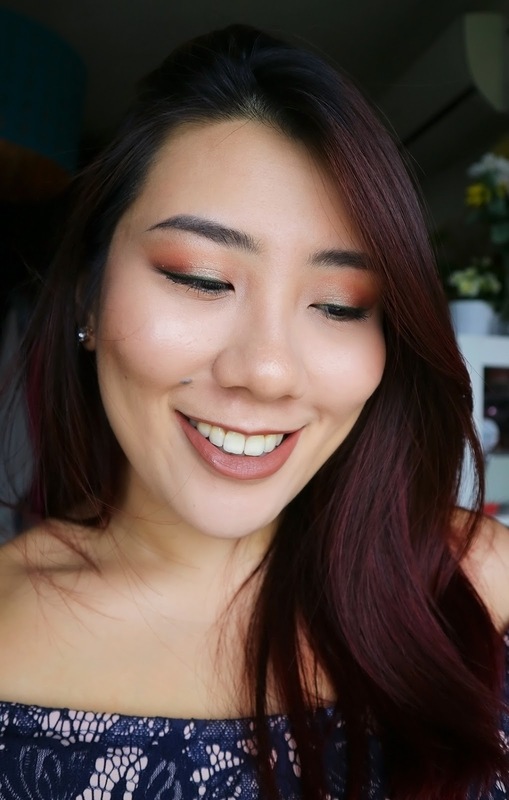 This was especially useful when I was on holiday (travel diary of my Perth trip here if you want to see how the brows looked before the touch up!) as I was waking up around 5 to 6 am every day and makeup was pretty slip shot! Not to mention the intense heat and the immense amount of sweating! 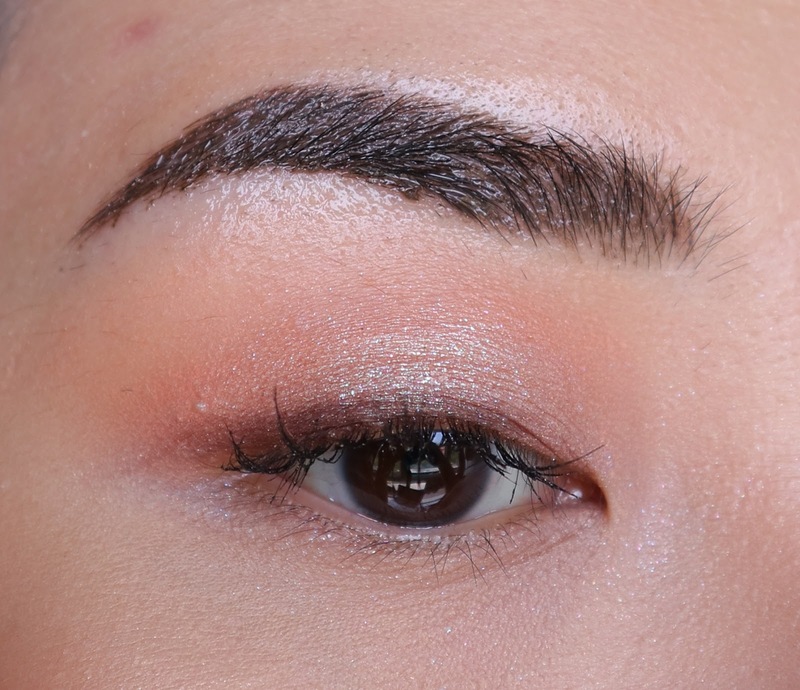 I did the 6D Signature Misty Brow Embroidery that utilises multiple fine hair-like strokes with varying thickness and depth to resemble real, beautifully defined natural brows. This procedure is SGD1688 and is available at the Fresver Beauty Tiong Bahru Outlet. 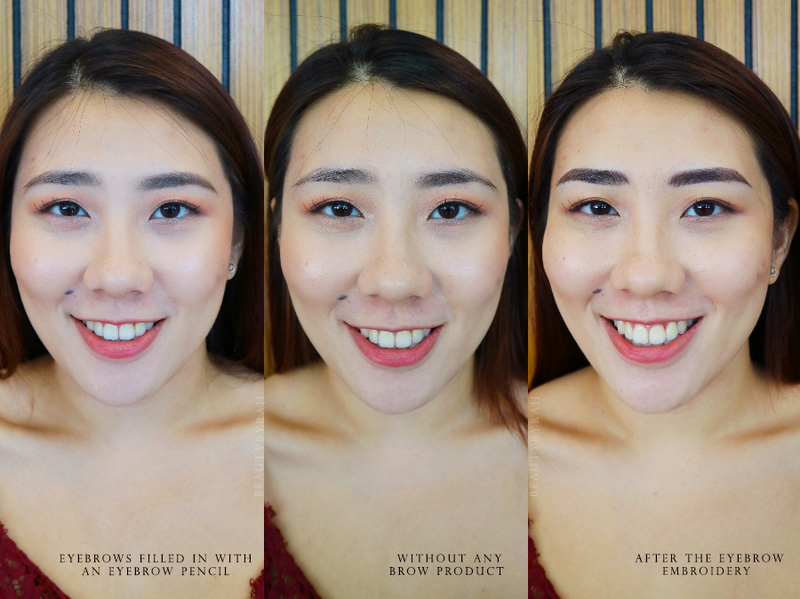 If you're interested in getting your eyebrows embroidered, you can use the promo code, EM_SARAH (which you can quote when you send a text along with your name, age, date, time to 9381 1977) to get a basic brow embroidery (inclusive of a touch up plus a free facial) at only SGD 299. This code is valid till the end of June 2018 and for first time female customers aged 21 and above. 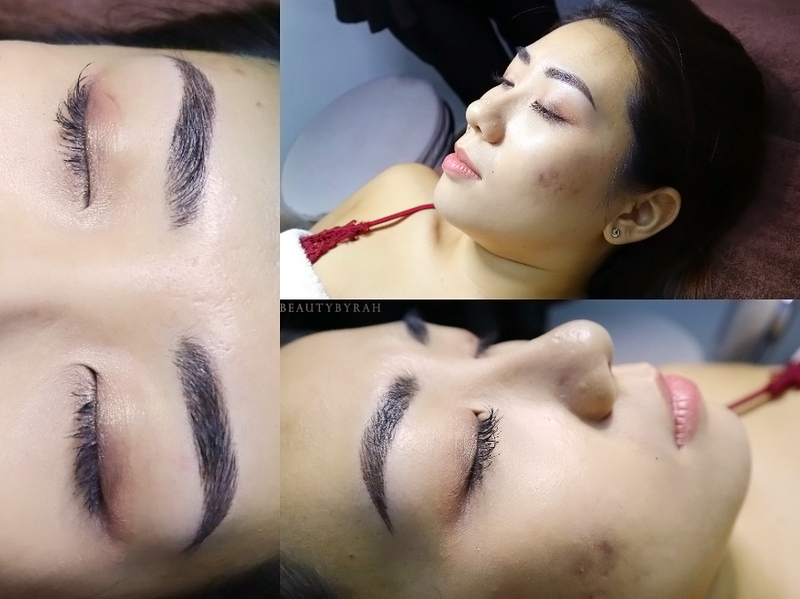 For more information about Fresver Eyebrow Embroidery services, you can check out their main website here. So ultimately, do I recommend getting your eyebrows done? I would say that it's definitely worth a try if you're considering. The largest advantage would be the time saved in the mornings as your brows are pretty much there when you wake up. There is no need to fill and shape them and that is tremendously beneficial if you're always on the go. However, if you do have some free time to spare or your brows are not a big priority for you, this procedure may not be completely necessary for you since it does include some discomfort during the procedure and the after care period can be a little tedious in my opinion. 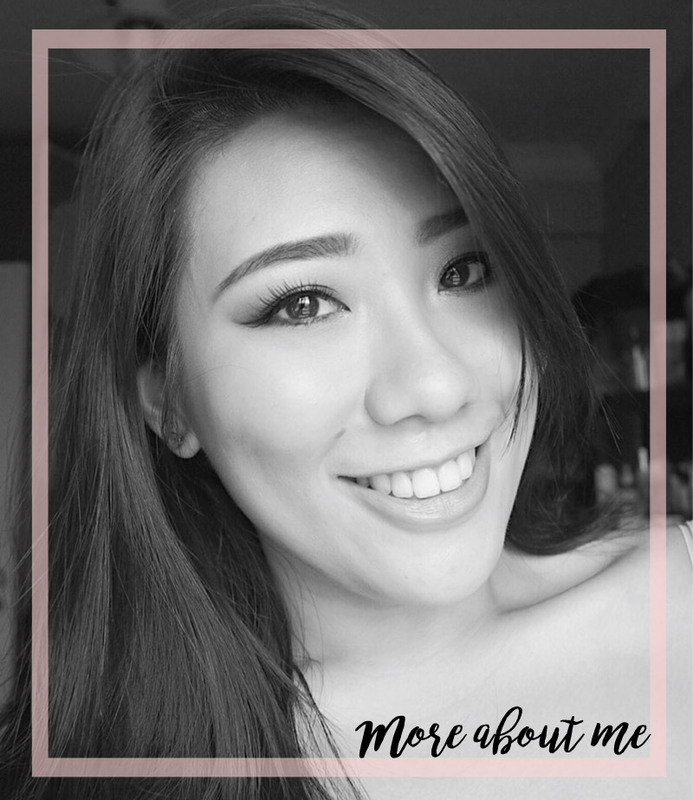 Hopefully this post helped if you were wondering about eyebrow embroidery or microblading! What are your thoughts on getting your eyebrows done? **Disclaimer: Eyebrow embroidery was sponsored by Fresver Beauty for review consideration. I am not compensated or affiliated to the brand. The above review is based on my true and honest opinion and it also contains information from the brand itself.